Charities often worry about recruiting younger volunteers. In contrast, there’s a tendency to complacency when it comes to older people. They’re seen as a reliable, stable source of volunteering effort – as workhorses. This might sound harsh, but it’s one of the insights we heard from charities during our review of community contributions in later life, Age-Friendly and Inclusive Volunteering. It’s no secret that charities depend hugely on older volunteers. Data from the Office for National Statistics shows that, on average, retired volunteers give more than one and a half times more time than volunteers who are still working. What many charities aren’t prepared for is the risk that this pool of volunteers could dry up. This might seem counterintuitive – after all, we’re living longer, so we might expect even more older volunteers. But as the population ages, the nature of later life is changing too, in ways that charities must get to grips with. More people are working into their sixties, especially women. More of us will be living with health conditions or disabilities for longer, as well as caring for others. There are new demands on the time and energy of people in later life. And for the many who are still in good health, there are far more leisure opportunities that compete with volunteering. The current pool of volunteers is also less diverse than it could – and should – be. People in later life who are poorer, in ill health or from BAME backgrounds are less likely to formally volunteer (though no less likely to give back in an informal way). Our review found that too many people feel mainstream charities and volunteering roles are "not for people like me". 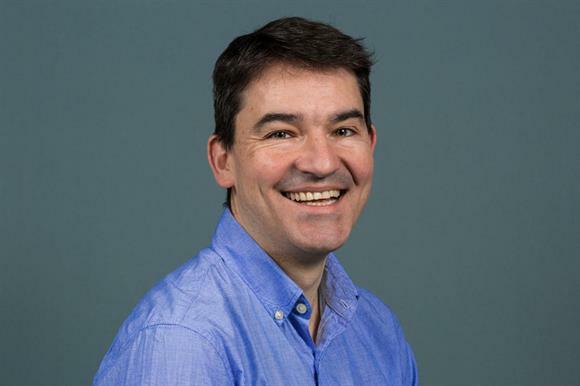 Too many charities rely on a dwindling pool of people, predominantly older, wealthier and white, many of whom will be unable to volunteer as much in future. At the same time, these charities are missing out on the talents, experience and perspectives of more diverse volunteers – and so are the people they work with. Without action, today’s older volunteers won’t be replaced either by their younger counterparts, or by tomorrow’s more diverse older population. The consequences could be catastrophic. Our review, in partnership with the Office for Civil Society, revealed the need for a complete rethink in big charities’ ways of working with volunteers. Volunteering needs to be flexible enough to fit around changes to people’s lives, such as ill health, bereavement or the need to care for loved ones. People need to know that if they take on volunteering commitments, they could stop when life changes and be welcomed back in future. This is not just about how much time volunteers are asked to give, or for how long. It’s also about finding ways to be more flexible about what people do, where and how. Older volunteers told us that bureaucracy, delays in starting, rigid role descriptions and "sheep-dip" training that didn’t recognise their experience all created barriers to taking part. Digital recruitment methods can create another barrier for some. 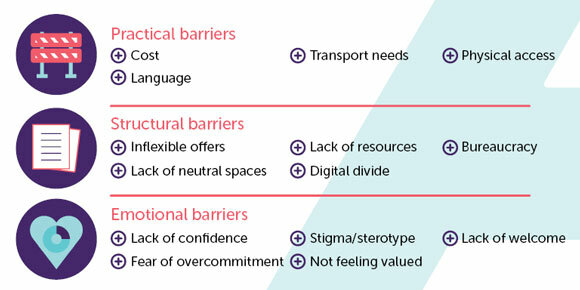 And accessibility can be a major barrier for people with health conditions, in terms of both accessible places to volunteer and accessible, affordable transport to get there. It takes a lot of courage for people who don’t see themselves as "typical" volunteers to put themselves forward, and we heard that rejection makes it much harder to try again. 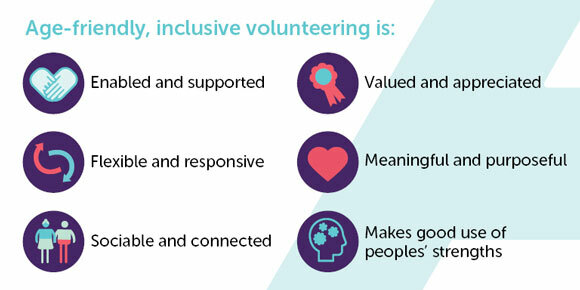 Charities can do much more to put on a welcoming and inclusive face, enabling volunteers to make connections with each other. The question is, what would more age-friendly and inclusive models of volunteering look like? We’re trying to find out. Through a joint funding programme with the Department for Digital, Culture, Media and Sport, we’re looking for up to five "demonstrator" projects to pilot better ways of sustaining lifelong volunteering, help people connect to both formal and informal voluntary activities, and attract and support more diverse, older volunteers. There’s a huge opportunity for charities to make the most of the talents and energy of our ageing population, and our research shows that this would be good for the volunteers too. Some charities are already doing this. Now it’s time for us all to make the shift.